At first glance the small Hachiko Statue near Shibuya Scramble Crossing may not appear particularly impressive. It’s only upon hearing the story of the actual dog that you can really appreciate its importance. In the 1920s, this Akita dog would journey to Shibuya Station to wait for his owner to arrive back from his daily job. One day his owner did not return from work, having suffered a fatal hemorrhage. This did not deter Hachiko though, who returned to the same spot to wait for his owner every day for the next nine years. 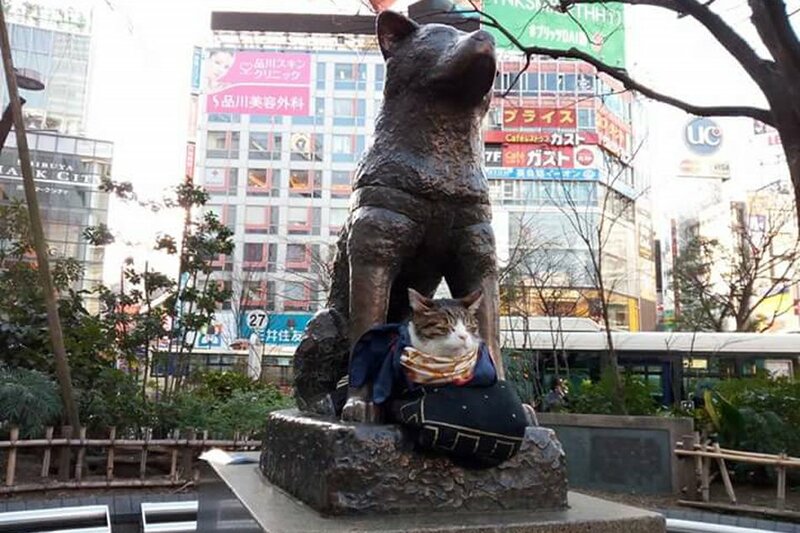 The dog has gone on to become a symbol of enduring loyalty nationwide, and the statue in his memory serves as a fitting meeting point for city residents. Richard Gere even starred in a Hollywood production based on Hachiko's life story. It's actually a very good movie. Contact 24 Limousine & we can arrange an english speaking chauffeur to show where the Hachiko statue is & give you the ultimate day out in Shibuya. The Shibuya crossing is a must see as well.